A unique campaign allows scientists to study the effects of Saharan dust storms on Atlantic hurricane development. On a typically hot and humid August day, researcher Jason Dunion saw something unusual in the sky over Miami. Dunion said, “It was really humid. It felt like a wet towel outside. But just above us, at 5,000 feet, it was super, super dry. No clouds were forming.” Dunion photographed a layer of dry, dusty air over Miami that had journeyed from the Saharan Desert in northern Africa, some four thousand miles across the Atlantic. Researchers think these dry, dusty air layers from Africa may be a key to understanding why Atlantic atmospheric disturbances, called tropical waves, sometimes intensify into hurricanes, and sometimes fizzle. Dunion is one of many researchers who want a clearer picture of the genesis and growth of Atlantic tropical storms and hurricanes. Computer storm modeler Cerese Albers, at Florida State University, wants to understand why storms intensify. She said, “We are looking for warning signs about which waves have the potential to form serious storms. If we could understand the life cycle of the disturbance waves, models could better simulate a storm’s potential for intensity and growth over the following few days.” This knowledge could mean better and faster warnings to coastal residents. Scientists have long understood that convective waves of westward-traveling atmospheric disturbances from the north African coast can be the beginnings of tropical storms and hurricanes. Dunion said, “In the Atlantic, more than half of tropical storms and weak hurricanes, and 85 percent of major hurricanes—categories three, four, and five—come from Africa.” Scientists also know that a number of factors, including sea-surface temperatures, unstable atmosphere, and high water-vapor levels, can cause the waves to intensify and form storms. Albers and Dunion are among more than one hundred researchers who participated in the NASA African Monsoon Multidisciplinary Analyses (NAMMA) campaign, a joint effort between NASA and the National Oceanic and Atmospheric Administration (NOAA), during the Atlantic hurricane season of 2006. Syed Ismail, a scientist at NASA Langley Research Center, said, “The objective of NAMMA was to see what role the Saharan dust aerosols play in the development of tropical disturbances, which could eventually become hurricanes in the Atlantic. The disturbances propagate from the coast of north Africa, and they get energized in the warm Atlantic climate. 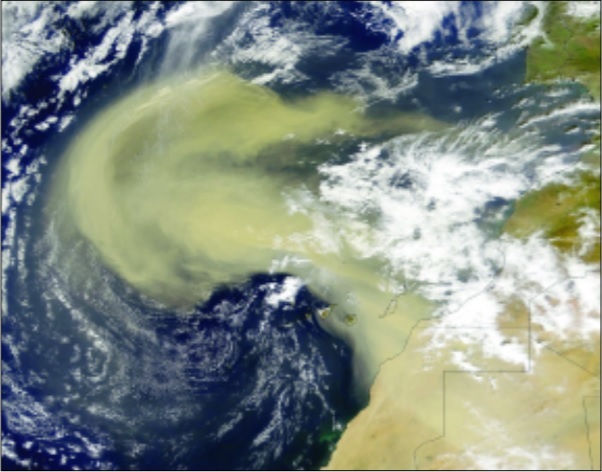 And then they sometimes develop into hurricanes.” The researchers suspected that Saharan dust storms sometimes prevent disturbance waves from intensifying into tropical storms and then hurricanes. That Saharan dust keenly interests Dunion, a research meteorologist from the NOAA Hurricane Research Division in Miami. He said, “The Saharan Air Layer is essentially a huge dust storm that can be the size of the continental United States. Every three to five days during the summertime, these storms roll off of the African coast.” As the dust storms move off northern Africa, convective waves develop farther to the south, pulling moisture up into the atmosphere. Researchers have sought several solutions to this lack of data. 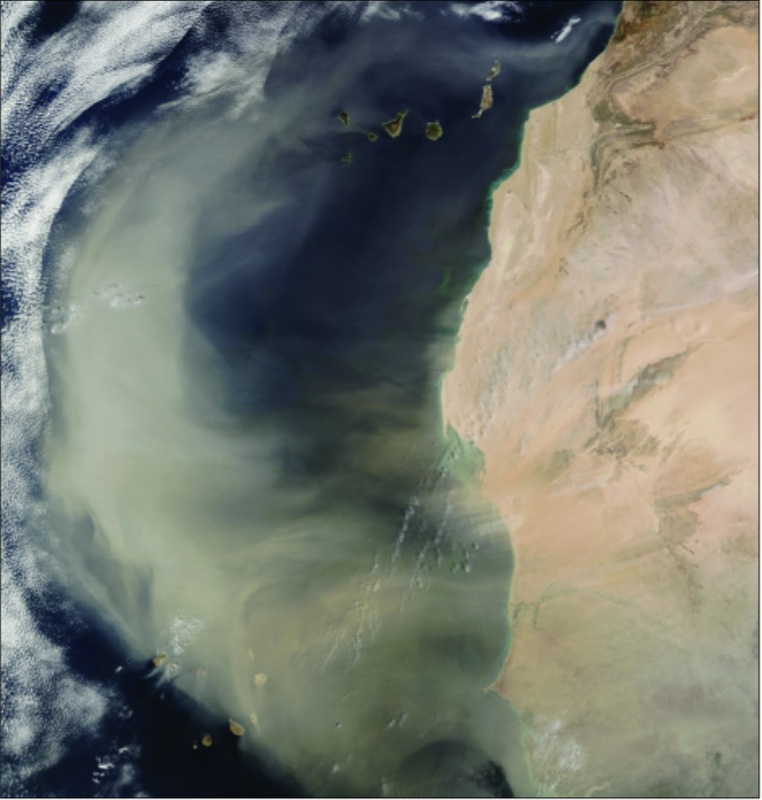 They hope someday to use satellite data to continuously track the Saharan Air Layer’s dry air and suspended dust over the Atlantic, but current satellites that possess that technology pass over any given location only occasionally, so they may miss the interaction between the dust storms and developing tropical cyclones. A new aerosol-detecting satellite just launched in April 2006, NASA’s Cloud-Aerosol Lidar and Infrared Pathfinder Satellite Observations (CALIPSO), promises to supply the needed data. Researchers are still calibrating CALIPSO by comparing the satellite data to ground and aircraft-based measurements. Dunion said, “We were trying to use satellite data to watch how a tropical wave might get embedded in one of these Saharan dust storms. It can really get beat up, it can really get suppressed.” Aircraft measurements helped the researchers understand what the new satellite was saying. “We’ve been flying the NOAA P-3 and G-IV Hurricane Hunter aircraft out of Barbados to look at these interactions, and now that we have these new satellite eyes to track the dust storms, we can use that information to better target our aircraft flight tracks,” Dunion said. 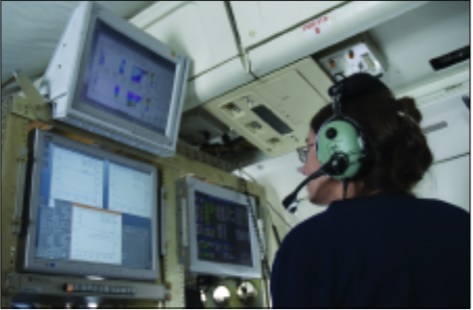 Hurricane Hunters fly into storms over the western Atlantic to drop instruments, called Global Positioning System (GPS) dropsondes, through the air layers, then relay meteorological measurements and storm positions to forecasters and researchers. To get the complete picture of storm development, they needed similar data from the eastern Atlantic. Much is at stake if researchers can solve the puzzle of Atlantic storm-to-hurricane intensification. Dunion said, “Over the last several decades, we’ve made steady improvement in hurricane track forecasts, but improvements in intensity forecasts have been much slower, almost flat. We need to take every little step we can to try to get the intensity trend moving more like the track trend.” For coastal residents and emergency managers, intensity forecasts can be the difference between deciding to make minor storm preparations or to evacuate. More accurate storm intensity forecasts save money, time, and lives for coastal communities. Dunion, J. P., and C. S. Velden. 2004. The impact of the Saharan Air Layer on Atlantic tropical cyclone activity. Bulletin of the American Meteorological Society 85(3): 353-365. Kamineni, R., T. N. Krishnamurti, R. A. Ferrare, S. Ismail, and E. V. Browell. 2003. Impact of high resolution water vapor profiles on hurricane forecasts. Geophysical Research Letters 30: 1234. Kamineni, R., T. N. Krishnamurti, S. Pattnaik, E. V. Browell, S. Ismail, and R. A. Ferrare. 2006. Impact of CAMEX-4 data sets for hurricane forecasts using a global model. Journal of the Atmospheric Sciences 63: 151-174. NOAA Aircraft Operations Center. Frequently asked questions: What is an easterly wave? http://www.aoml.noaa.gov/hrd/tcfaq/A4.html. Accessed August 2, 2007. Ross, Robert S., and T. N. Krishnamurti. In press. Low-level African easterly wave activity and its relation to Atlantic tropical cyclogenesis in 2001. Monthly Weather Review. Wakimoto, R. M., H. V. Murphey, E. V. Browell, and S. Ismail. 2006. The “Triple Point” on 24 May 2002 during IHOP. Part I: Airborne doppler and LASE analyses of the frontal boundaries and convection initiation. Monthly Weather Review 134(1): 231-250. Wulfmeyer, V., H.-S. Bauer, M. Grzeschik, A. Behrent, F. Vandenberghe, E. V. Browell, S. Ismail, and R. A. Ferrare. 2006. 4-dimensional variational assimilation of water vapor differential absorption lidar data: The first case study within IHOP 2002. Monthly Weather Review 134(1): 209-230.